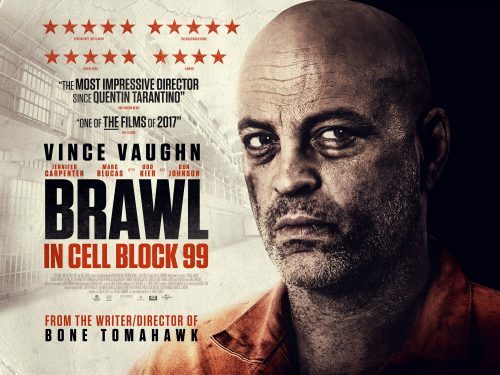 Not only do we get a new poster for the upcoming Vince Vaughn film, Brawn on Cell Block 99, but a release date for the film as well. The film is not only hitting UK cinemas on October 20, 1017 but also to rent on your local Digital Store. When former boxer loses his job and is faced with the breakdown of his marriage, he decides to take a job as a drug courier to turn his fortunes around and provide a comfortable life for his wife Lauren. Just as his situation begins to improve, a savage gunfight lands Bradley in jail where he has to make a series of impossible, chilling decisions to protect those he holds dear.